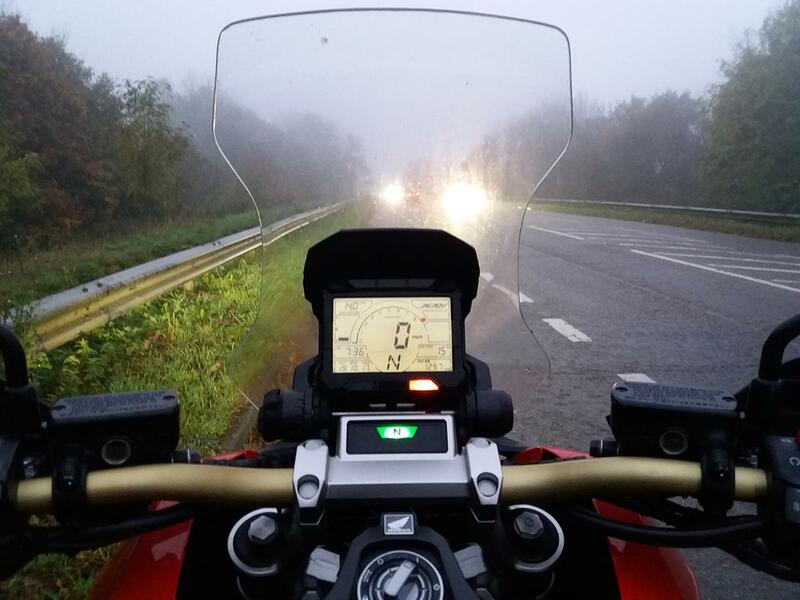 Today is the first day I’ve felt fully justified for having the fog lights fitted to the Honda X-ADV. With the trees rapidly going from summery green to autumnal brown the change of the season is definitely here. As I peered through the crack of the bedroom curtains this morning it was a very drab and foggy scene that awaited. For just a couple of minutes I looked longingly at my lovely little red Mini parked on the drive. I gave myself a good talking to and donned my Rukka kit, grabbed the scoot keys and headed for the garage. It wasn’t as cold as it looked so the heated grips weren’t needed, I was pleased I’d opted for the fog lights though. The light the fogs gives out is clear and gives a much broader field of vision, another benefit is that I feel as if I can be seen better. There’s nothing worse than feeling vulnerable on a bike and bad lights are definitely one thing that can contribute to this. With the already more than adequate headlight, combined with the bright fogs I feel there’s no excuse but to see me. 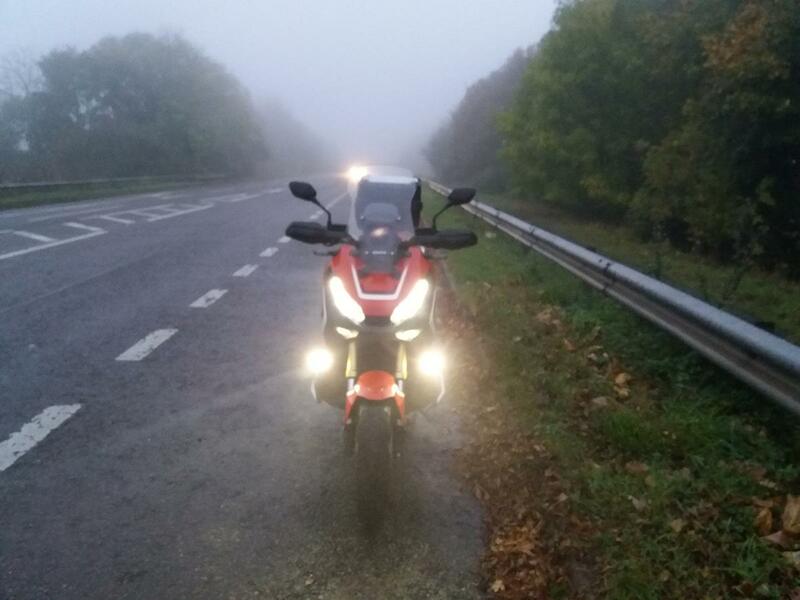 Both the fog lights and heated grips are part of the Honda Comfort Pack I had fitted earlier in the year. At £835 it is a pricey addition to the bike, although it does include crash bars, fitting time and won’t invalidate the warranty.